I was never quite happy with the idea of using D&D as the core system, though. I briefly considered using instead Stormbringer or Elric, but that idea never set well, either. As my desire to run an Algolian game grew, it seemed that finding a suitable system became harder. BR:HAC is about as rules lite as it gets. As one review I read put it, it's a game for people who think Savage Worlds is too crunchy. (I'm paraphrasing here, since I no longer recall the source.) It's fast, lean, and offers a cinematic/dime store novel feel without all the overhead that seems to come along with it in many other game systems. And even though it's clearly set in the Buck Rogers' "universe," its rules-light nature makes it a prime candidate for house ruling/shoehorning into one's own setting. For a pulp-themed game, BR:HAC really plays into the style of the genre. 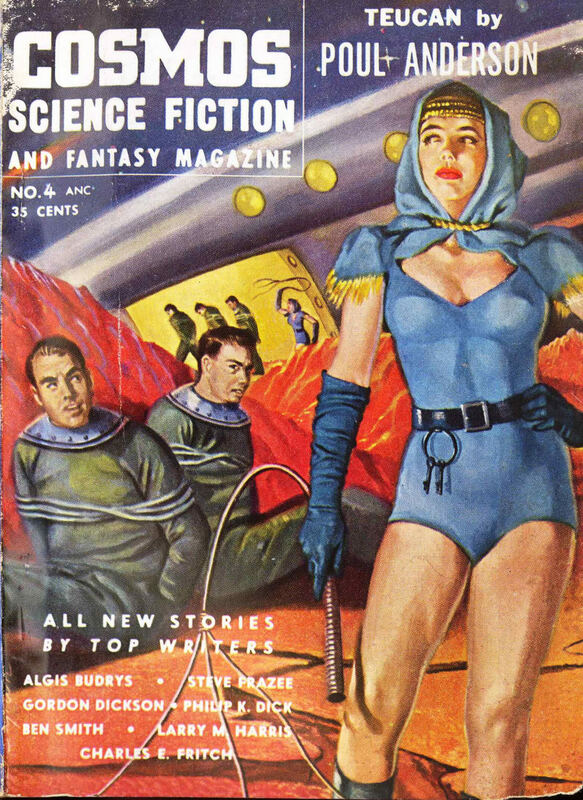 I've toyed with TSR's Gangbusters and Indiana Jones, and spent far too many hours prepping for a Savage Worlds game that never materialized; I think this is because the systems for these games, although each worthy in their own right, never hit the pulp sweet spot in my mind. I chose BR:HAC for my Algol game, because I didn't want to do the usual murder-hobo D&D game. 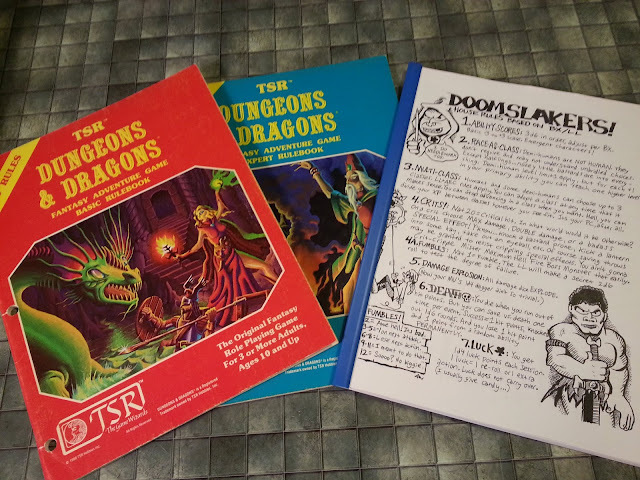 I wanted a real pulp feel that D&D just doesn't deliver with its levels and hit points. BR:HAC just seemed to hit the right spot. The proof is in the play: I ran a multi-adventure session of my "Planet Algol: High Adventure Cliffhangers" game over the weekend, and it was an unmitigated success. Furthermore, I've been badgered daily since then to run more PA:HAC games. It seems like using BR:HAC was the right choice. *Many thanks, Blair and company! **Many thanks, Jeff Grubb and company! 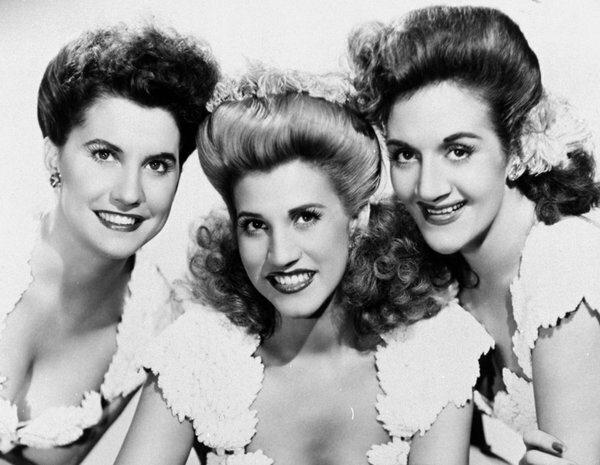 ***RIP Patty Andrews (below, center), last surviving member of that wonderful trio, who passed away just a few hours prior to this post. Thank you and your sisters for helping fuel an awkward teen's love of a bygone era. Just posted on your comment on my blog that I'd love to read more about your game you ran, and voila! You wrote a post already. 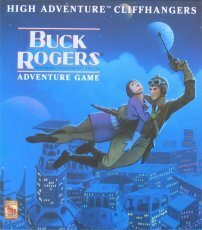 I'd love to hear more about the mechanics behind the Buck Rogers game and why it makes such a good fit for this type of game. Oddly, I actually am loving Savage Worlds right now. I've used it for genres as diverse as Call of Cthulhu, horror-based World War II, and ancient Chinese Wuxia, and it seems to be working great.